Rub in butter until the mixture resembles coarse bread crumbs. Stir in orange essence. Add iced water and mix to a firm dough. Cut out circles with a 2 – 2 1/2 inch round biscuit cutter. 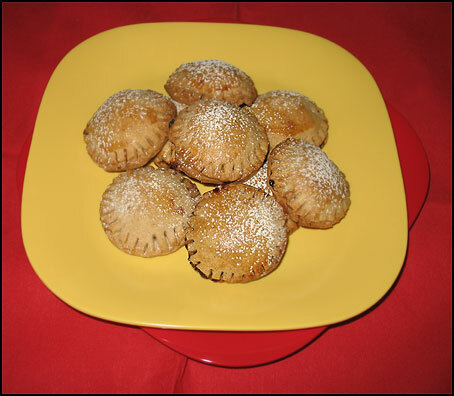 Place a small spoonful mincemeat into each pastry and top with another round and seal by pressing the edges. Remove from the refrigirator and bake for about 20 – 25 minutes. Minced meat (minced fruits) – you can buy these in any grocery store during christmas time. They come in small bottles/jars.